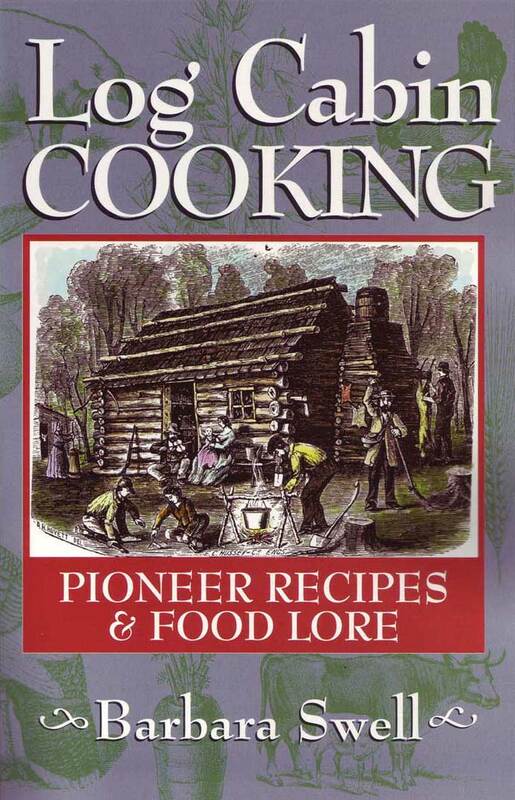 Mama’s in the Kitchen simply screams NOSTALGIA. 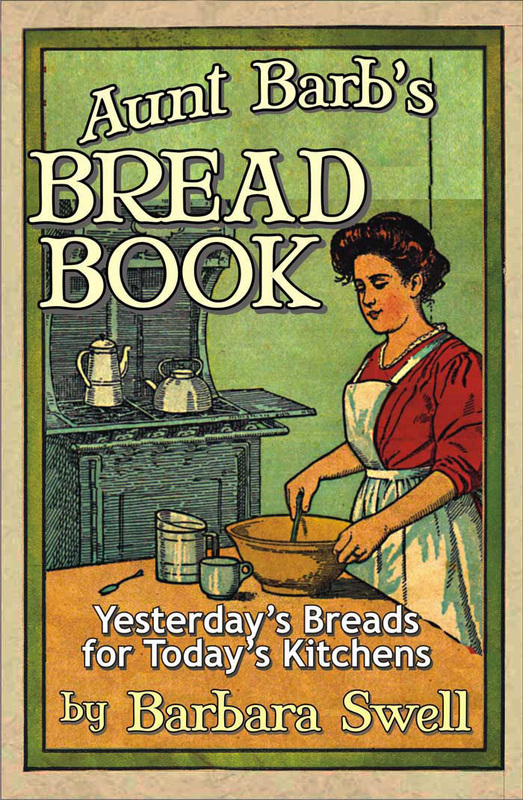 Here are the stories and recipes of our mothers and grandmothers as they cooked their way through two world wars, food shortages, and the Great Depression. 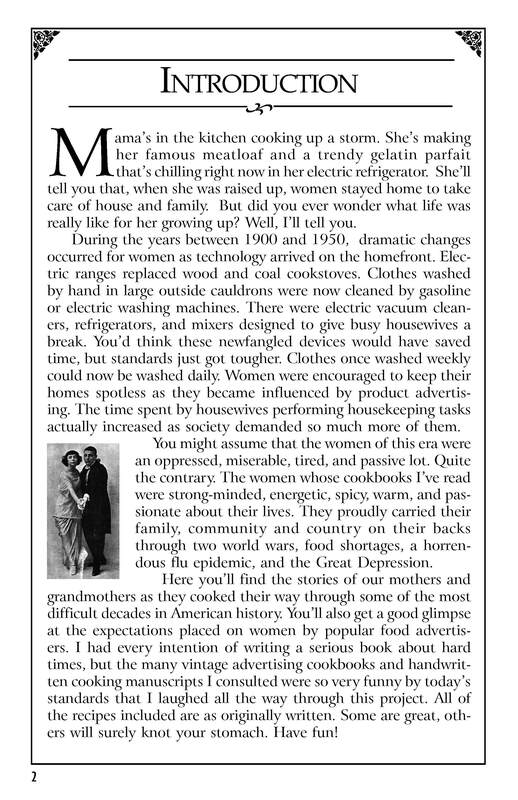 This lively and witty book chronicles how household gadgets dramatically changed the lives of women forever. 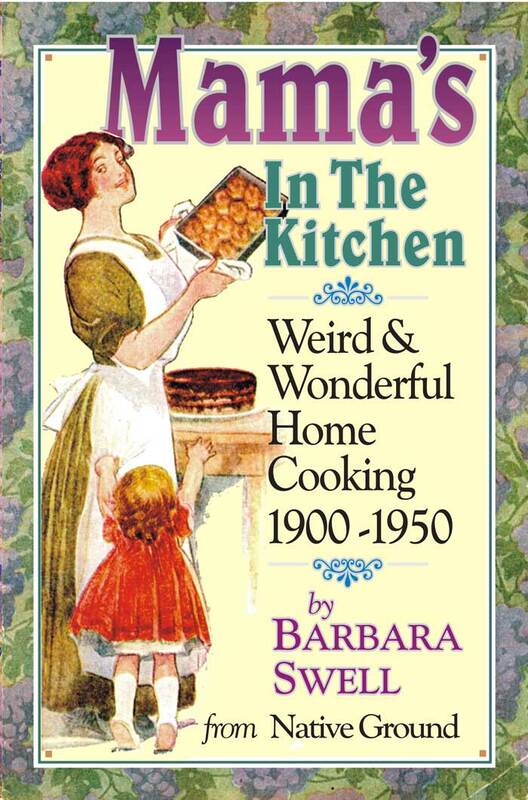 It takes you into the kitchens of young housewives who whipped up cherry chiffon pies and weird little sandwiches to the beat of big band swing tunes playing on the radio. Lured by glossy product advertisements, these women were seduced into thinking that a green wiggly dessert would add glamour and romance to their lives. 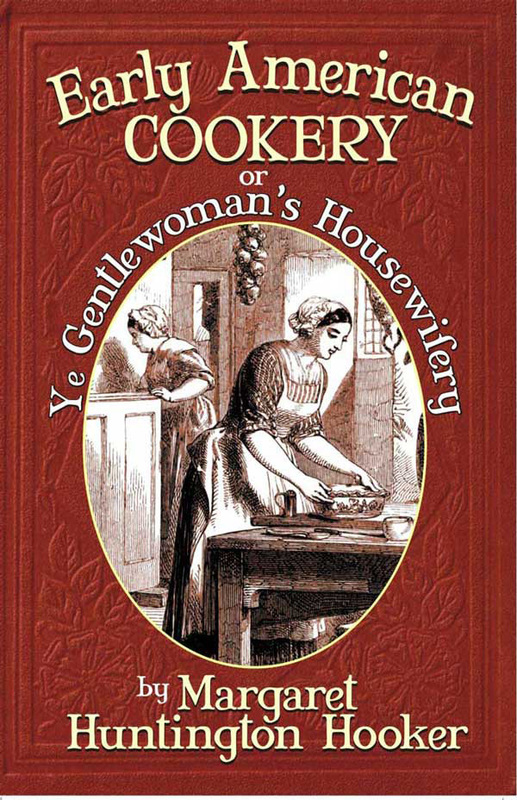 This book takes both a serious and a humorous look at women in a changing world. 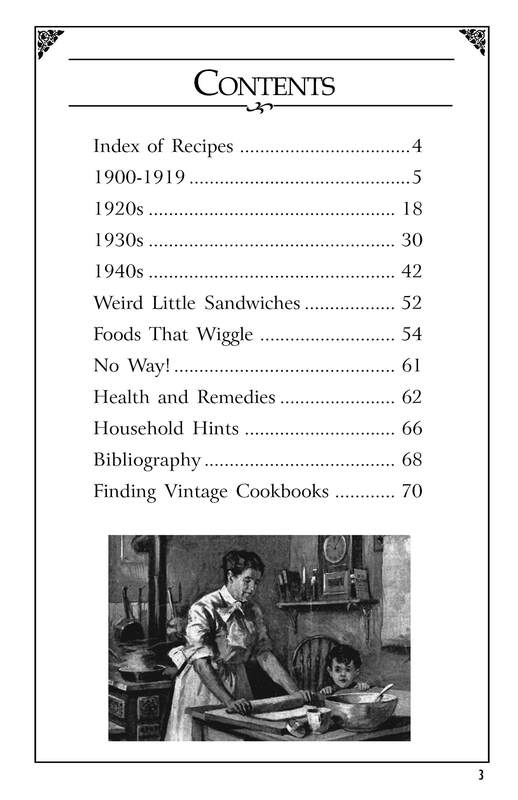 5 ½ x 8 ½, 72 pages. 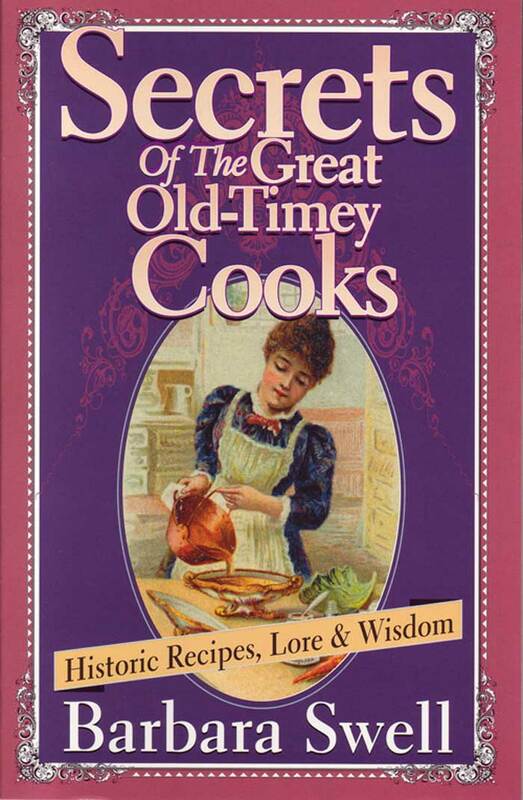 A little masterpiece of nostalgic cookery. 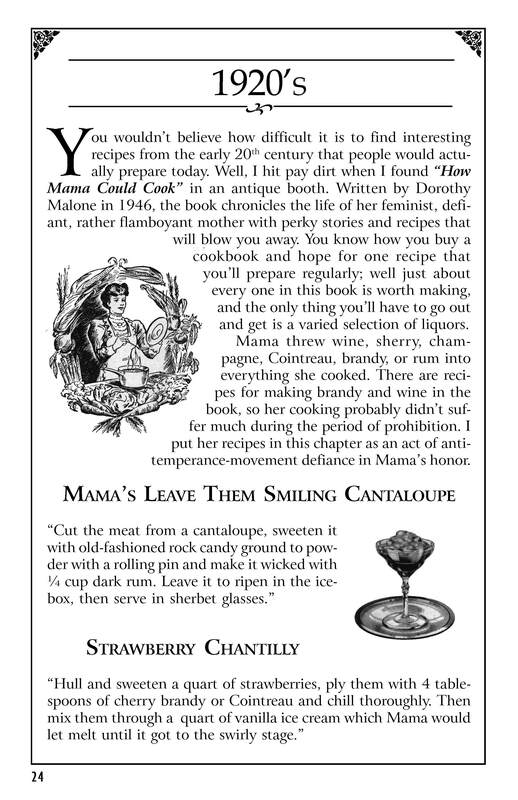 Mama’s in the Kitchen is a ‘must’ for anyone who enjoys strolling down a ‘yesteryear’ collection of culinary pleasantries. 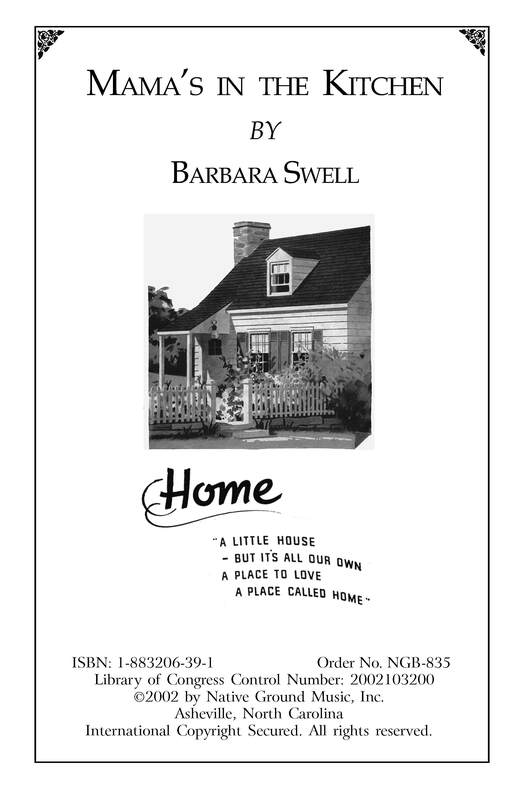 Barbara Swell’s books are like little gazettes-packed full of recipes, photos, drawings, and mountain lore. We’ve always been proud to stock her books and look forward to her upcoming publication. 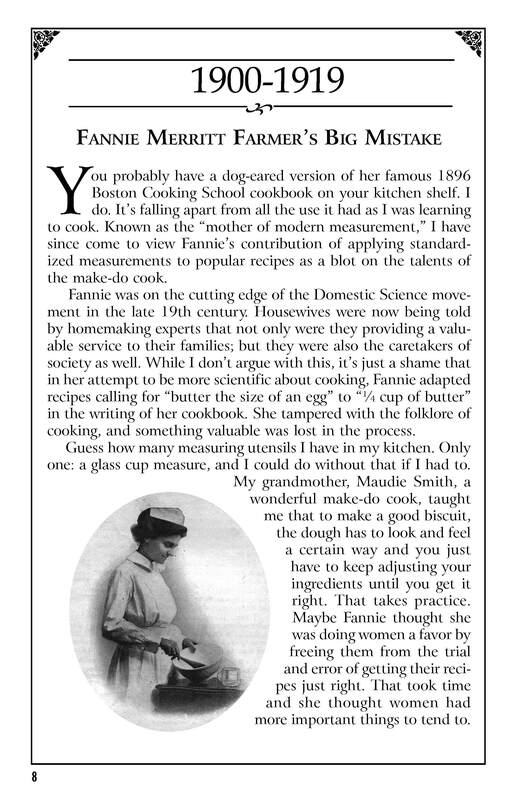 I absolutely loved ‘Mama’s in the Kitchen!